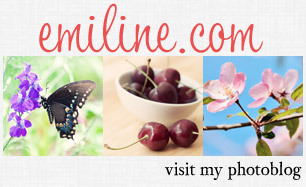 After discovering my love for cherries late last summer, I was ecstatic last week when I went to my grocery store and they had cherries in the produce section for the first time this year. 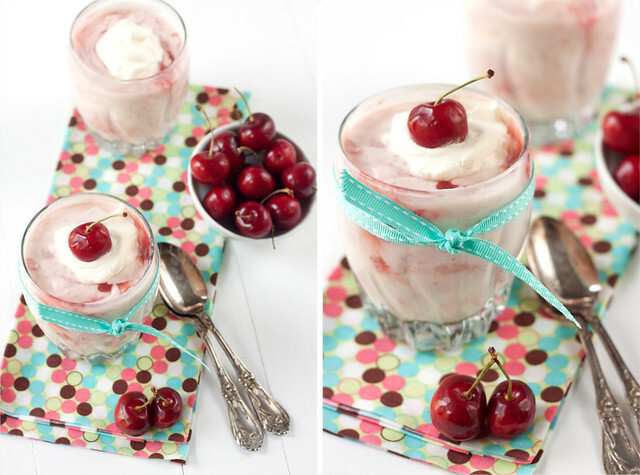 I’ll just tell you right now that you should be expecting lots of cherry recipes this summer. I wasted too many years turning my nose up at them and I gotta make up for it! My grocery store also had some rhubarb in stock and I grabbed some since I’ve never tried it before and I’m all about trying new fruits and vegetables these days. I’m not going to make the same mistake I made with cherries! When I was looking through a new cookbook and saw this recipe, it seemed like it would be a great use for the rhubarb. If you’ve never heard of a “fool” before, it’s a very simple British dessert which mainly consists of whipped cream and fruit swirled together. This recipe is a healthier version because it replaces some of the whipped cream with yogurt. To make it even healthier, I used honey to sweeten the fruit compote instead of sugar like the original recipe called for. Rhubarb can taste quite tart, so it’s best when paired with a sweeter fruit. 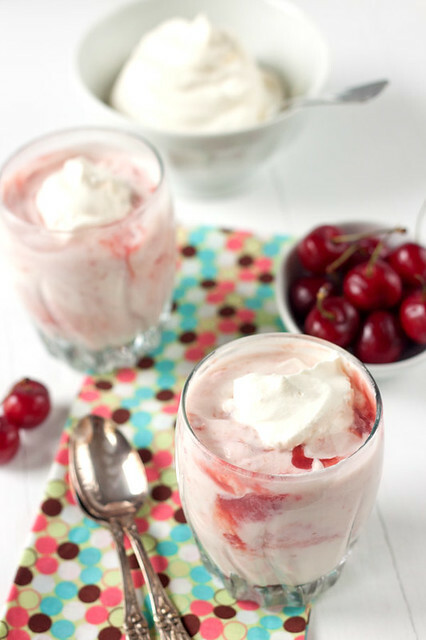 Strawberries are typically used in a fool, but I knew immediately that I wanted to use cherries instead and I wound up really loving the cherry-rhubarb compote. Not only is it great in this recipe, but I can imagine putting it on pancakes, waffles, oatmeal, yogurt or any number of other things. Apparently, rhubarb also pairs well with cinnamon. The recipe calls for a cinnamon stick to be added to the fruit mixture while you cook it. I was very skeptical about this, but in end I really liked the hint of cinnamon and thought it added more depth of flavor to the compote. My boyfriend is not a big fan of cinnamon and he said that ruined it for him (to which I say: More for me! ), so skip the cinnamon stick if it’s not your thing. Since this is such a simple dessert to make, a week later I whipped up a strawberry-rhubarb version that I also very much enjoyed. So feel free to substitute strawberries or any kind of fruit you like. 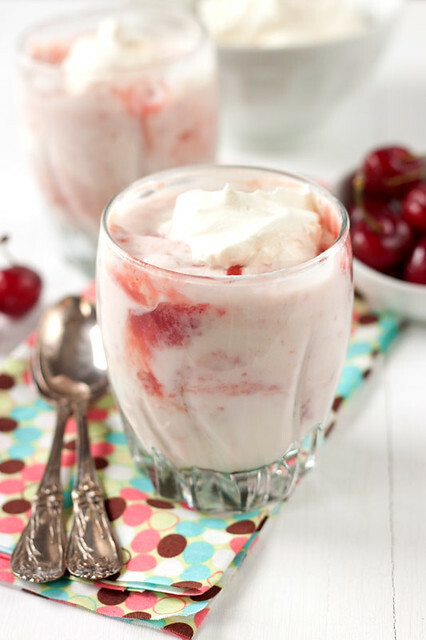 I can’t imagine there is any fruit that wouldn’t taste delicious after being swirled into this creamy mixture. The dish is supposed to be chilled in the fridge before you serve it, but I actually liked it best after it had been in the freezer for an hour or two. That’s not long enough to freeze it, but it’s long enough to make it stiff, almost like soft serve ice cream. I rarely have real ice cream in my freezer so it’s nice to have an easier and healthier substitute, especially now that summer is almost here. *If you don’t have Greek yogurt, you can drain normal yogurt through a cheesecloth or coffee filter. It’s not absolutely necessary to use Greek/drained yogurt, though. The dessert will be more watery and less fluffy, but it won’t affect the taste. 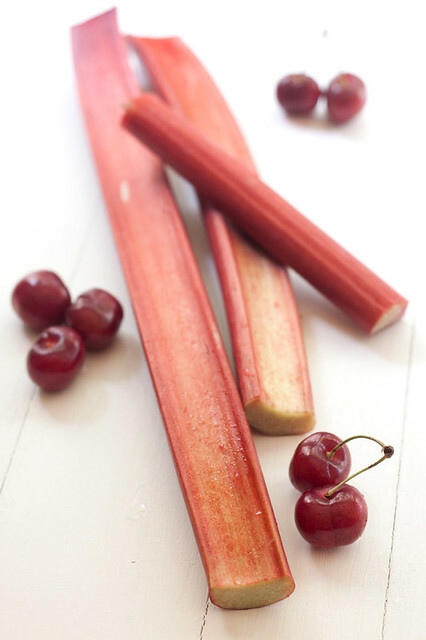 In a large saucepan over medium heat, combine rhubarb, cherries, honey, water, lemon zest and cinnamon stick. Bring to boil and cook until the mixture has the texture of applesauce, about 7-10 minutes. Remove and discard the cinnamon stick. 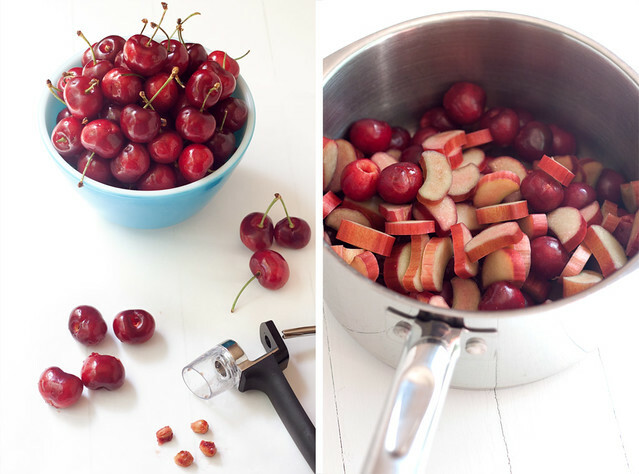 If there are still large chunks of cherries, remove from heat and cool slightly, then transfer to a food processor or blender and process until the mixture is uniform. Taste and add more honey if you want it to be sweeter. Chill in the fridge for at least one hour. In in chilled bowl, whip the cream and powdered sugar until stiff. Place Greek yogurt in a medium bowl and whisk or whip until smooth. Gently swirl in the cherry-rhubarb mixture. Fold in the whipped cream and swirl it around. Spoon into individual dishes. Cover and chill for at least an hour or up to 6 hours. Alternately, I like to put an individual serving in the freezer for 1-2 hours before I eat it; not long enough to freeze it solid, but freezing makes it bit stiffer almost like soft-serve ice cream. Ohhhh yum…good call with the cinnamon! yummm!!! looks so good! and you’re pictures are stunning. im quite jealous. Looks delicious and you have reminded me of some left over rhubarb in my fridge. Great clicks. What a great idea for cherries I’ve just picked from my tree. Looks s yummy! Andrew recently posted…Start Weeping- Landlords Want More Olive Gardens! I love rhubarb and have a bunch to use up that has just come to life….and I have a tub of Fage to use up in my fridge! 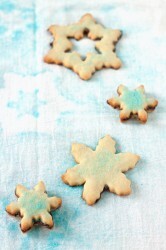 This is the perfect recipe for me right now…thanks for posting! wow, isn’t this something that everyone of us should try atlest once. Imean, it is so easy and looks superb when served! Great attempt, friend. I appreciate you trying out new fruits!! Do you actually need the lemon zest?–I don’t have a zester …. Also, can you make this a day before an event–just spoon up and put in freezer the day of? Yeah, you can skip the zest if necessary. And it should be fine to freeze before serving. It works well if you only freeze it for a few hours since that makes it a bit stiffer like ice cream but not totally frozen. If you freeze it for longer than that, you’ll want to take it out at least 30 minutes before serving to let it soften up.